Icecreamists, a London restaurant based in Covent Garden is offering clients the chance to try ice-cream made with real breast milk. “No-one’s done anything interesting with ice cream in the last hundred years, wanted to completely reinvent it.” says Icecreamists founder, Matt O’Connor. 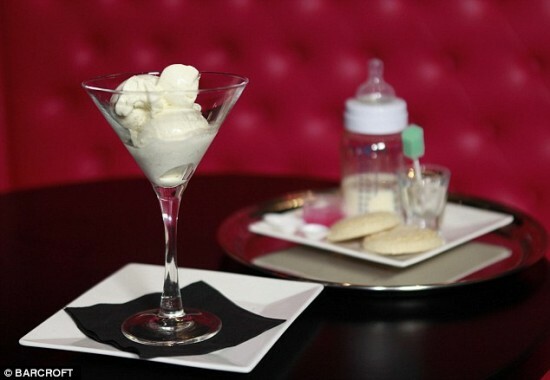 The restaurant specializes in quirky ice-cream flavors, but using breast milk is definitely the weirdest thing they’ve done in their quest to change how people think about ice-cream. Victoria Hiley, the first woman to donate breast milk for the unique ice-cream, says she was intrigued when she saw the ad on an online forum. People were arguing whether it was for real or not, so she decided to find out. The 35-year-old mother of one ended up selling 30 ounces of breast milk to Icecreamists. Now the restaurant is looking for more women willing to sell them the magical liquid and is offering £15 ($24) for every ten ounces. In case anyone is interested, the milk is extracted using breast pumps. 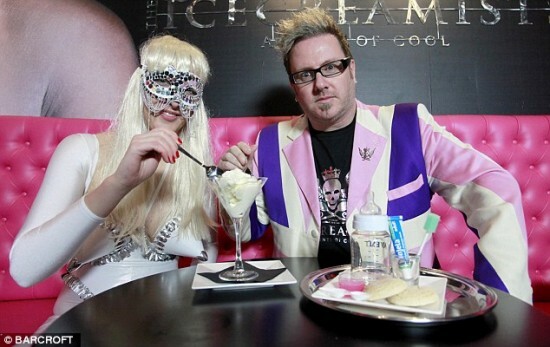 The breast milk ice-cream has been named Baby Gaga and it’s actually served by a waitress disguised as pop phenomenon Lady Gaga. Apart from the breast milk, Baby Gaga contains Madagascan vanilla pods and lemon zest. It costs £14 (22.5) and comes in a Martini glass, with liquid nitrogen on top.